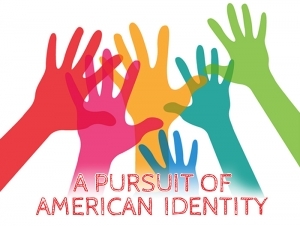 The Buffalo State Community Academic Center will present “A Pursuit of American Identity,” a discussion session led by local civic leaders and social justice activists, on Thursday, February 15, from noon to 2:00 p.m. in E. H. Butler Library 210. The event is free and open to the public. 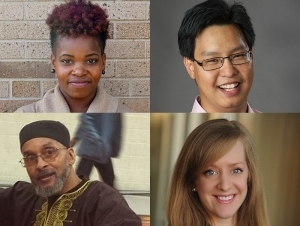 "Student civic engagement and leadership can be understood in two ways—personal development and better practice (and understanding) of democracy,” said Buffalo State alumnus Ba Zan Lin, ’14, a committed community organizer, activist, and program officer at the Community Foundation for Greater Buffalo. This event will afford Buffalo State students who have recently become American citizens a unique opportunity to engage in deep civic discussions with the campus community. Speakers include (pictured clockwise from upper right) Lin, Andrea Ó Súilleabháin, George Baba Eng, and India Walton. The discussion will be moderated by Ó Súilleabháin, deputy director of Partnership for the Public Good (PPG), and Win Min Thant, CAC education coordinator. Each discussion will be followed by a brief presentation on the topic. The program goal is to make students fully aware of their responsibilities as American citizens so that they are fully prepared to exercise their rights, such as conducting civil discourse and voting in elections. Most important, the program’s main objective is to exercise our rights as citizens to let our voices be heard and to actively participate in civil action and discourse. “Involvement in civic engagement and leadership also means an access to other opportunities in life such as social recognition, psycho-social well-being, rewarding relationships and connections, exposure to professional employment, and the ability to advocate for oneself and for his/her community,” said Lin. “Likewise, student civic engagement brings significant social, economic, and civic benefits not only to immigrant and refugee community, but also to mainstream communities and society as a whole." The event will begin with a networking session at noon, followed by the moderators’ opening remarks and presentations “Civic Responsibility, “Civic Engagement,” and “We the People.” For more information, please visit the CAC website. This event is funded by a grant from the Faculty-Student Association.